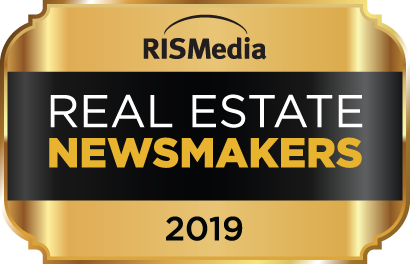 New housing statistics reported by Forbes indicate that the US is becoming a nation of renters, who outnumber homeowners in many cities across the country. 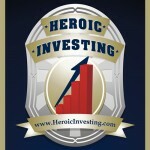 This means good news for first responders and other public sector investors following the recommendations of Jason Hartman to buy and hold income rental property for a long-term return. Both single-family homes and multifamily complexes (more handily referred to as multiplexes) can be good investments, but these two very different kinds of properties offer different challenges and opportunities. 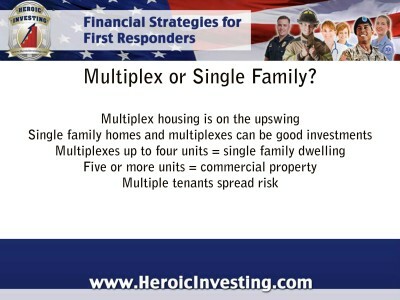 Multifamily housing, or multiplexes, refer to a variety of structures that house more than one unit, or family. These range from a house with a basement or second-floor suite to apartment houses with large numbers of tenants. But the true “apartment complex” comes under the heading of commercial real estate, and is a different kind of investment than smaller multiplexes made up of two, three or four units. For most lenders, a multiplex property of up to four units is treated like a single family home for mortgage purposes while five or more units will be considered commercial property. A key advantage to investing in multiplexes is that multiple tenants spread the risk – there’s less likelihood that all units will be vacant at once, and multiple families mean multiple rent checks.